I finally converted our never used tiny formal living room in the front of our home and converted it into an art studio. It’s the first room people see when they enter our home, but I do keep it rather neat (I’m just a neat person by nature). 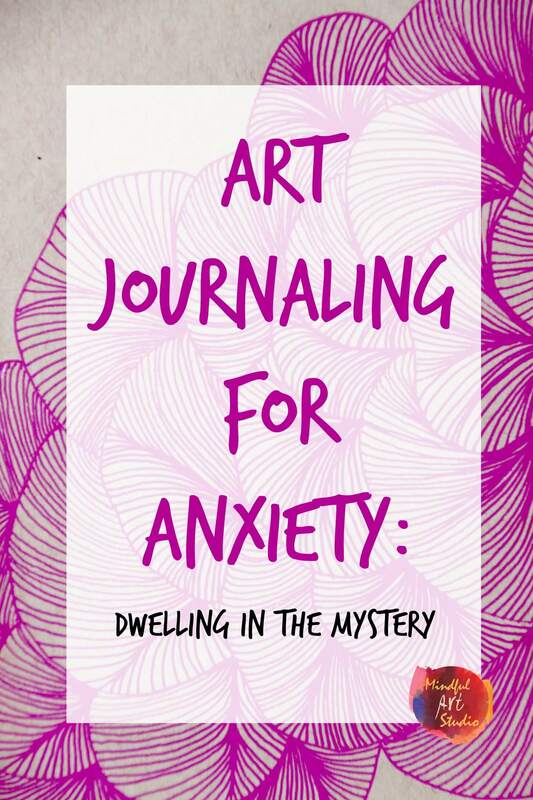 I’ve recently started art journaling, and I love your blog. I’m still struggling with what medium to use since I’m an oil painter and that’s all I really know. 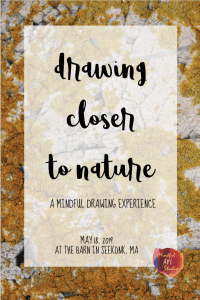 Welcome to Mindful Art Studio! What a fabulous place for a studio in your home. I love that your art is your guests’ entree into your home. 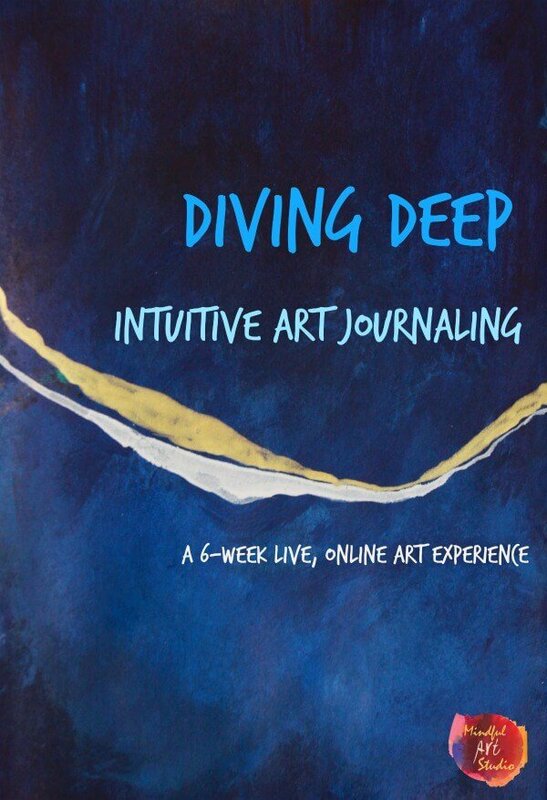 Oil painting on canvas is very close to my heart, but so is art journaling, so I’d say there’s hope. 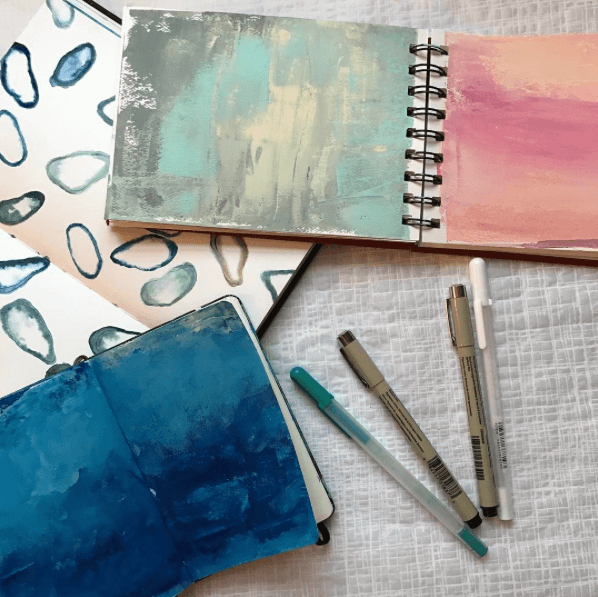 Do you have interest in using acrylic paint on paper? 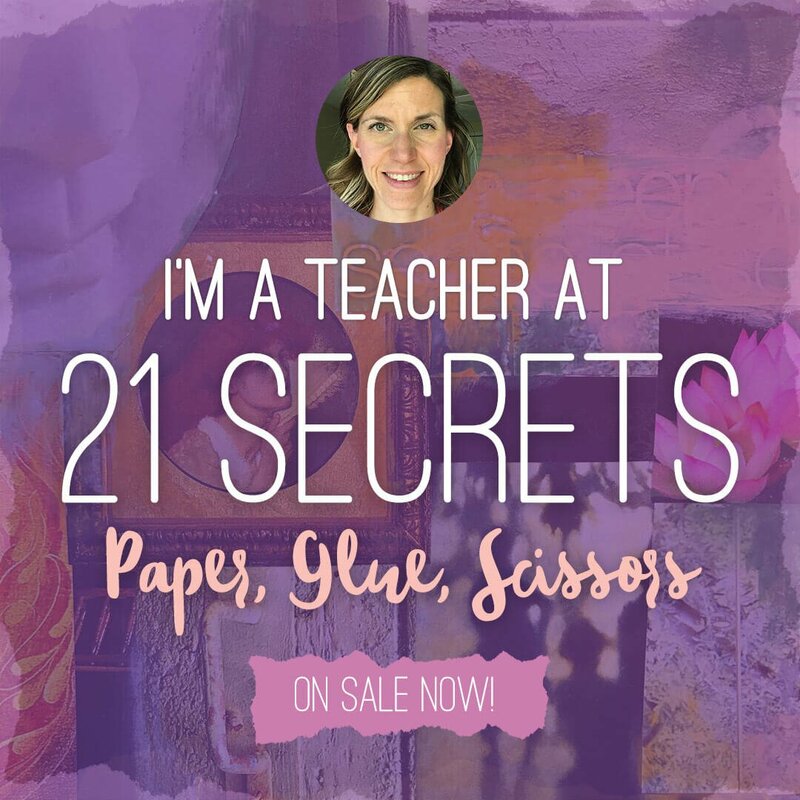 How about checking out the tissue paper painting tutorial? That will be very different and perhaps really fun. You might also like playing with painting watercolor circles – just make bubbles – perhaps use your brush to “drop” in a second color and see what happens? This is such a wonderful and open time for you because it’s all new. Will you let us know what you enjoy? 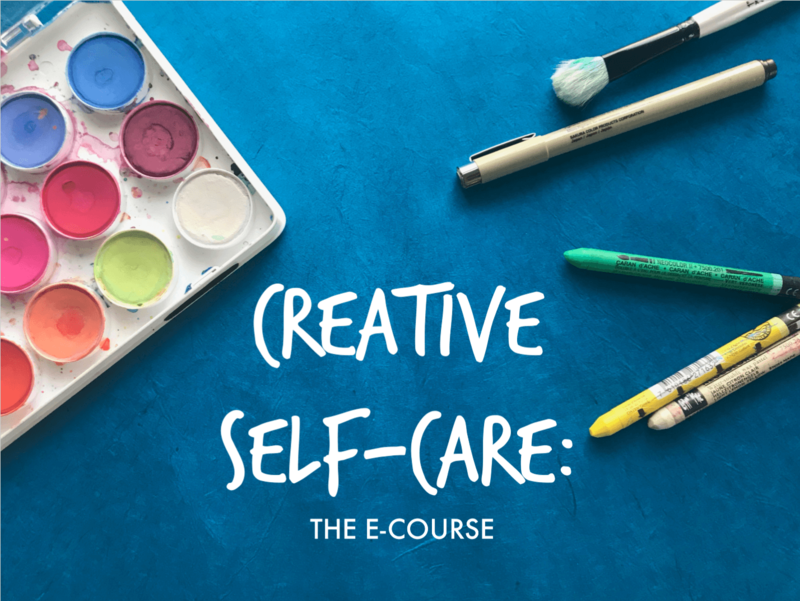 If you haven’t already, you might also like our private FB group, Creative Self-Care, for more ideas and inspiration. 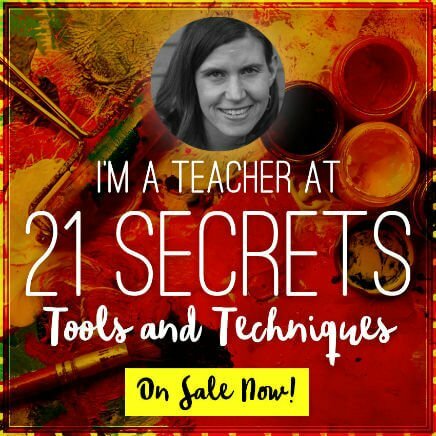 If you are on the mailing list, I also periodically share there about live art workshops and other fun artsy resources. Where can we check out your work in oils? I’m so glad to have you as a part of this wonderful community. I look forward to connecting more. Thanks for your reply, Amy! I think I’ll try a few of these techniques because I do like to play! I’m intrigued with the watercolor circles. I have so much invested in oil paints that I don’t want to get any acrylics, but I do want to try watercolor techniques because I have a few watercolors and I like Derwent Inktense watercolor pencils. Tissue paper sounds fun! As far as my art, I have an art page on my blog where I post paintings from time to time. Thanks for the link to the FB page. I joined your group! Your paintings are so lovely! I especially responded to the onion and the Ball jars. the jars really point to how making art from life is about “learning to see.” Glass is one of those things we think we see and it plays tricks on your mind when you try to render it. I feel like those are the best exercises in mindfulness and being present with what actually is. I’ll be curious to hear how it goes with these other mediums. So glad you joined Creative Self-Care. Do you have a photo of the front room that is now the art studio room? Love it !! I’m about to do the same in my breezeway !! Two huge floor to ceiling windows on each end of the narrow / long room … will have east/west light . Why I didn’t think of it sooner!! As usual a well thought out and useful article! Thank you so much, Bunny! You are the sweetest. You seem like your studio is really together! I hope it gave you a few ideas, perhaps for organization. 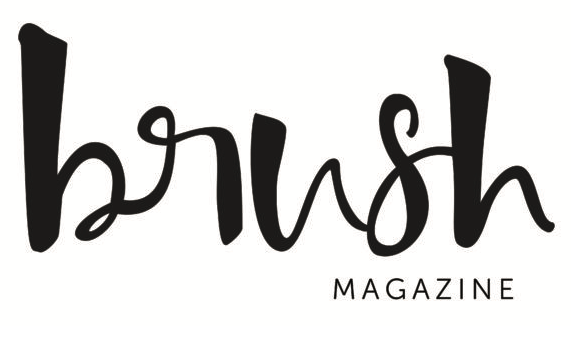 Love the post & your blog! 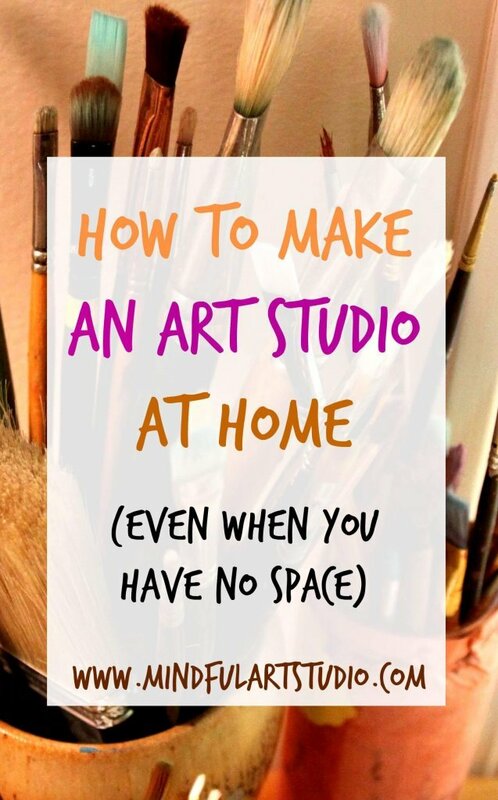 I always struggle with my art space in my own home. Thanks for all the tips – they’re great! I know! Sometimes creating space for yourself and what you love is paradoxically difficult. It’s strange. 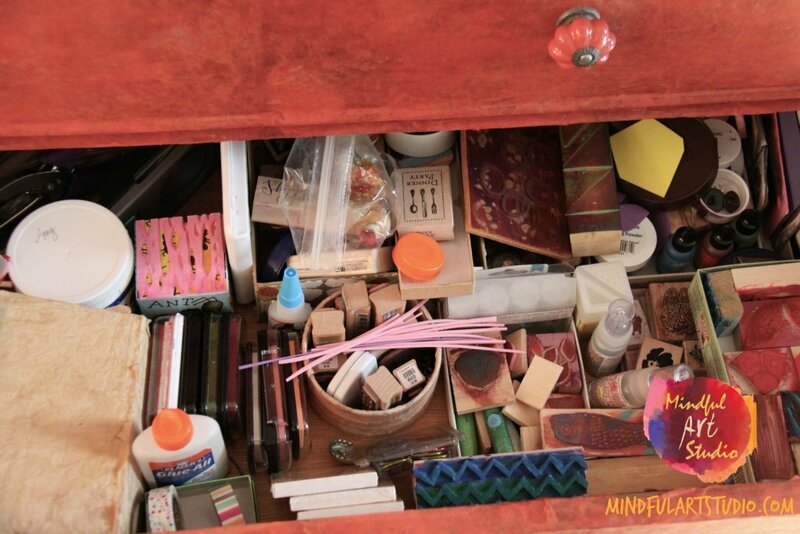 And yet, whenever I spend some time de-cluttering and re-prioritizing, it opens things up for me so much. I hope this is helpful. Love that tree image on your blog. So lovely. I love your article! Creating art in tiny spaces is hard, but sometimes very necessary. I appreciate all your insight since I have very limited space myself. 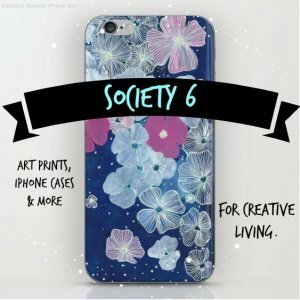 I am a creative blogger as well, just got started. I love your blog, even the very name of it is great. Can’t wait to find more treasures on here. Thank you so much for taking the time to read and comment. 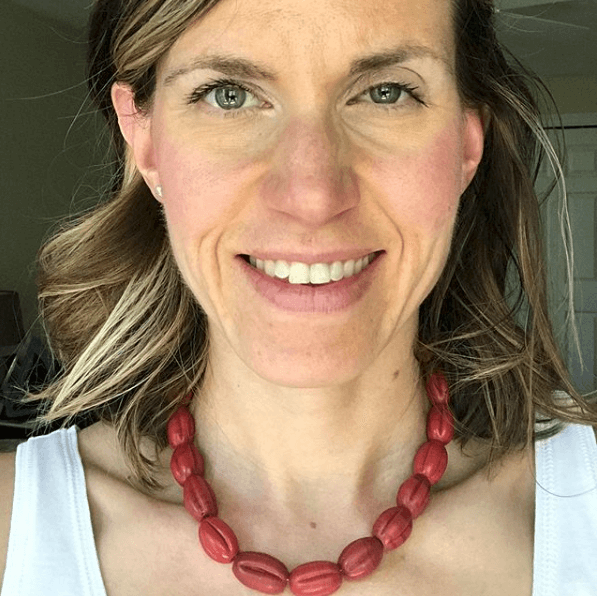 Your site is lovely and I love your creative free spirit that shows up so well in your pictures. Let me know if I can help you find anything here! Aw, thank you so much! I appreciate your response and your feedback. Thank you for taking the time to look at my page. HI Nina! I’m so stoked you found me too, Nina! Are you making a mini studio in a closet? 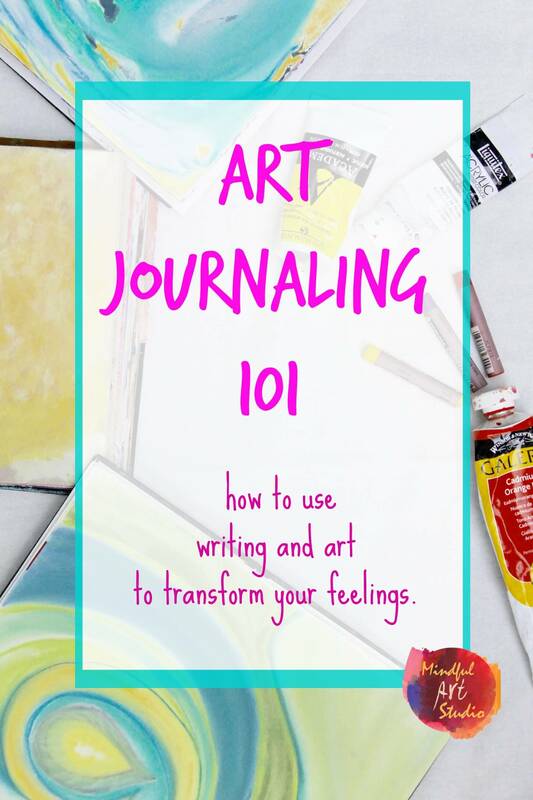 I’d love to see some pics of your process! 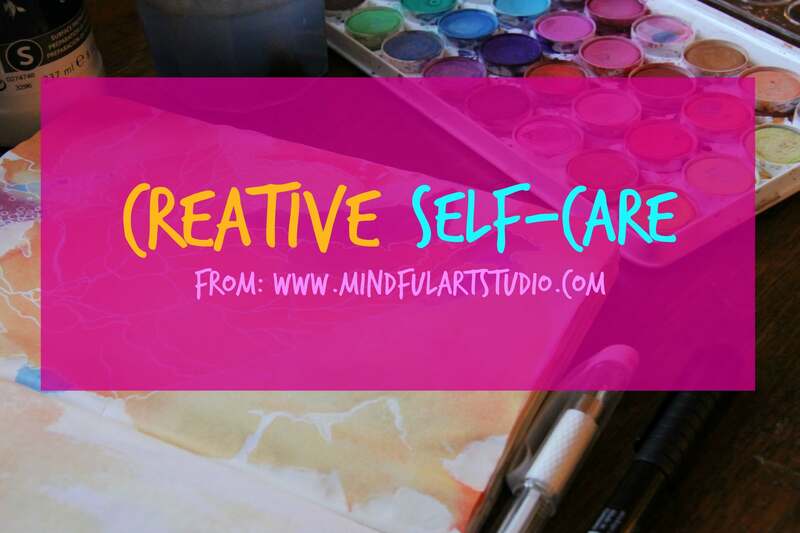 If you haven’t already, hop on over to Creative Self-Care, our private FB community where you can share your creative life. And I especially thank you for your comment here. Love the suggestions! I took over a lower deck. It’s really just a deck with a roof and a table… some bins for supplies- but it works and makes me happy! It helps that I’m in California. 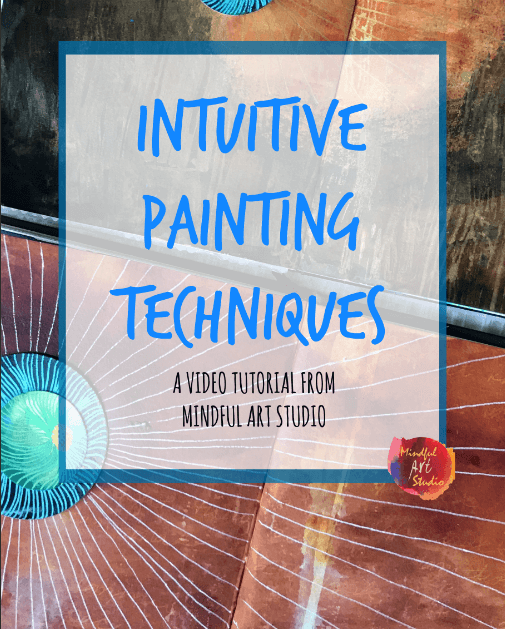 Welcome to Mindful Art Studio! I’m so thrilled you stopped by. What a great suggestion for folks in warmer climates. Thank you so much for sharing it. Sounds like a lovely and relaxing place to create, surrounded by the outdoors. Are the pieces on your website, http://threestoryranch.com map collages that were sewn or made encaustic or altered digitally? So beautiful! Thanks for peeking at my website! Most of my paintings have some added paper- typically maps. Nothing is digital. Everything is encaustic…. which also ties in nicely to an outdoor studio. No need for an exhaust system! Funny you ask about sewing. I have been thinking that I want to add stitching and fabric. My daughter is really into sewing these days. I am just finishing the artspace of my dreams but it has been a long time coming. For a very long time I used my dining room as an art room. I kept a plastic table cloth underneath my good one and all my art supplies in my sideboard. I just pushed back the company table cloth and painted, sewed, beaded, collaged and you name in there. There really isn’t an excuse to not be creative, all you need is a flat surface and a small place for supplies. I even worked on a tv tray one winter after having surgery on 6×6 canvases for an entire winter. 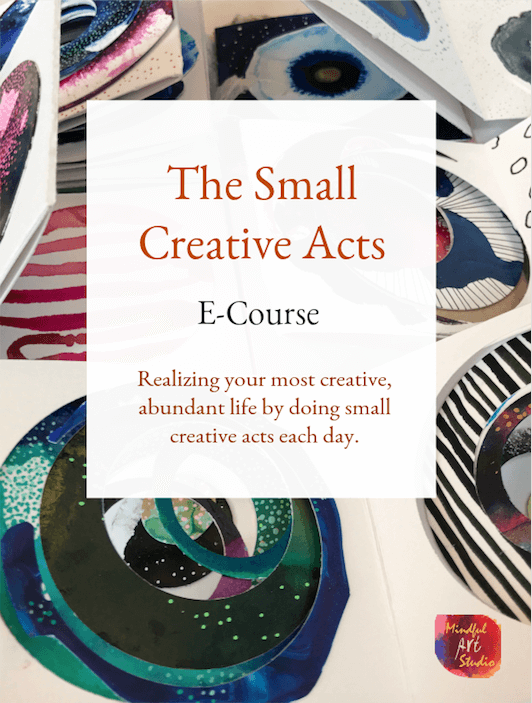 If your space is small – make small art. 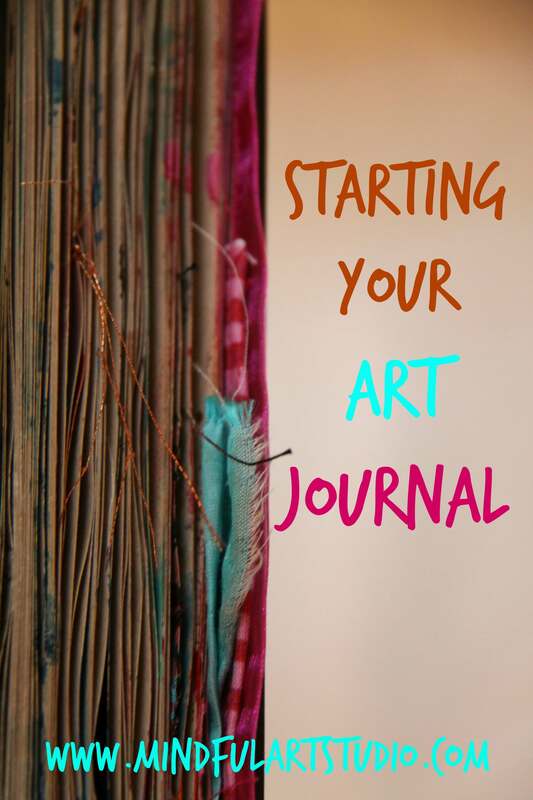 As your space grows so can your work… the most important thing is to keep making art. 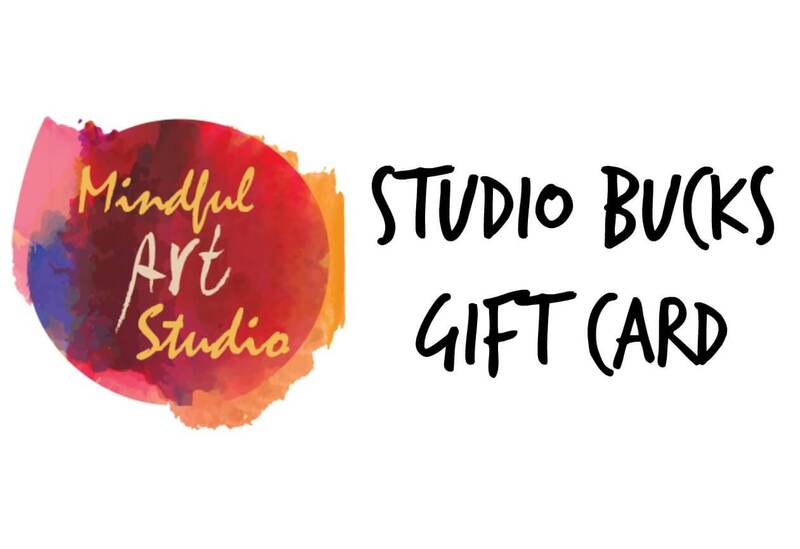 Welcome to Mindful Art Studio! 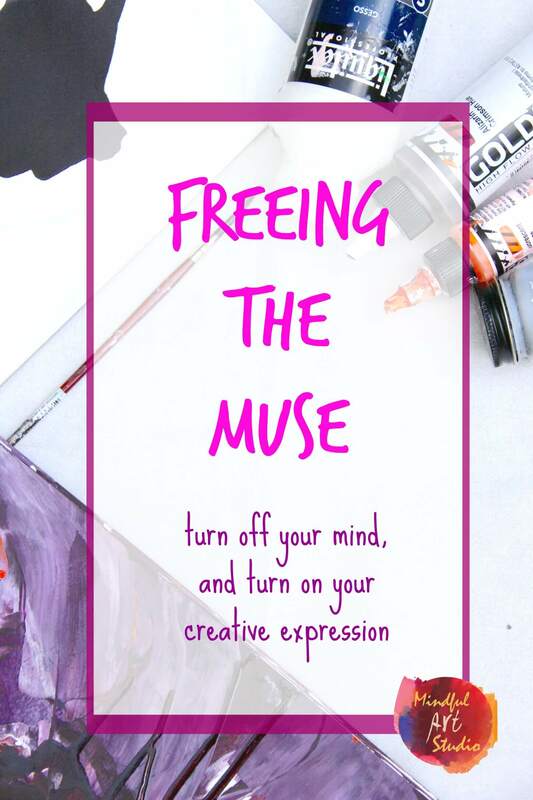 This is such a wonderful, wonderful explanation of how we can give ourselves permission to make space for our art. Thank you for these two wonderful examples. Also, I love how on your website, http://www.bellamarcella.net you call yourself a “creative diva!” Way to own it. Beautiful work. Thanks for the inspiration. We definitely have space available we just gotta make a plan and do it. 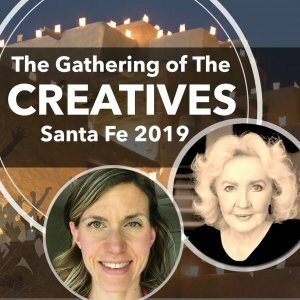 Our creative family needs to have an organized space for art! amazing i never knew about this. ive been struggling to greate an art studio forever do u have any more tips too? these were very cool. thanks!!!!!!!!!!!!!! I’m so glad you found this helpful. 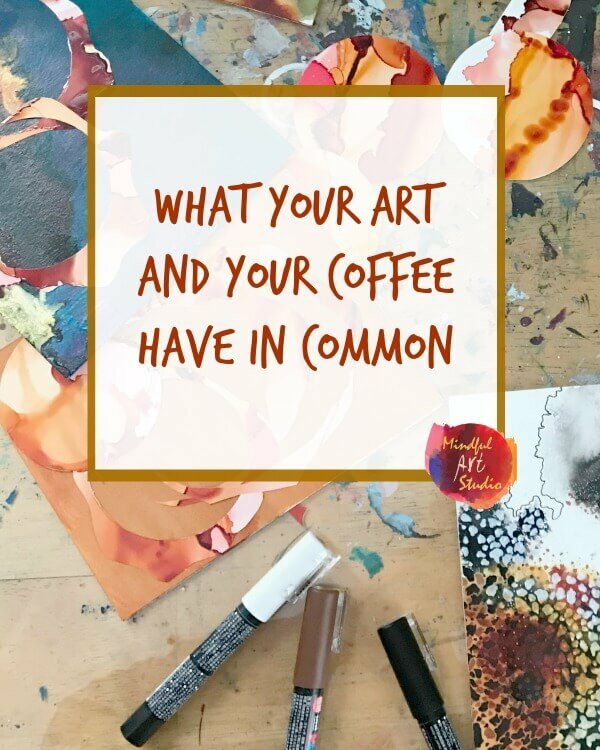 Actually, there’s so much here, I think you might have the most luck focusing on one or two ideas and implementing those in your space. If you are interested in getting a “view” into how I organize my own space, you might check out this video. Thanks for this! 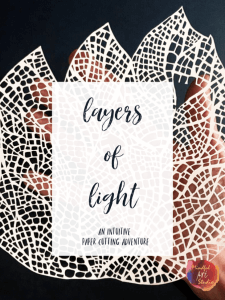 As a working mom of two small, curious children, it is difficult to carve out the space and time for art. In addition to the challenge of finding an area in our tiny home, everything has to stay out of reach and baby proofed. Do you have some tips for this situation? I’m sure there are other women who deal with similar struggles. I’m so glad you asked this question because it is such a challenge for so many of us! 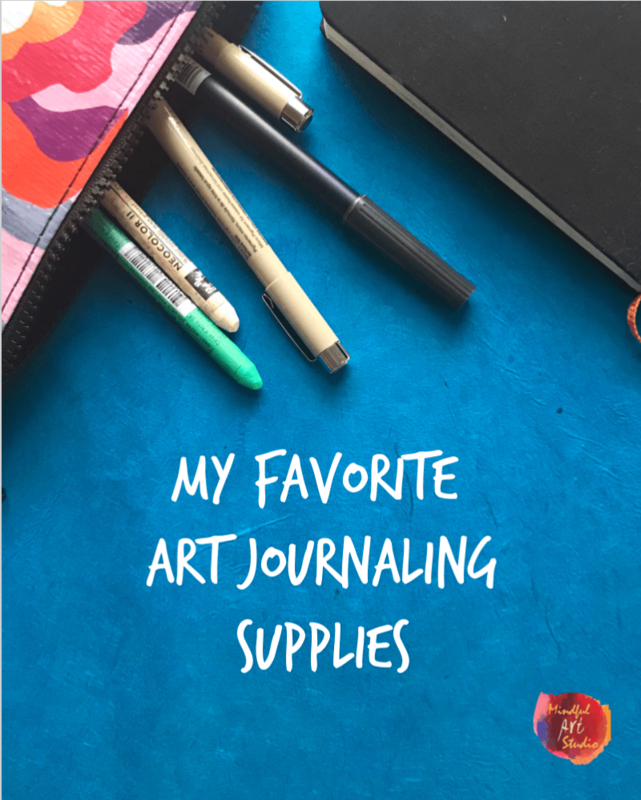 You may have thought of some of this, but let me first direct you to another post where I tour through my own studio – you might find some ideas there, like the dresser and butler’s cabinet that I have repurposed for holding art supplies. You’ll find the tour of my studio here: http://mindfulartstudio.com/tag/art-studio-tour/ Once you watch the video some of this may spark more of your own ideas, but i used to put things to dry up on top of my taller furniture like the butler’s cabinet, that way I can also leave things in progress on a page. What about floating shelves that are too high for little ones to reach? I also think you could designate a drawer in a repurposed dresser for a drying area. At least my dresser is a very heavy one and little ones aren’t strong enough to open it. Salvation Army is a good spot for these kinds of things. I hope this helps, and let me know how it goes! Thank you for taking the reply! I look forward to trying to utilize some of these tips. I appreciate how thorough and responsive you are with everyone who comments. So many bloggers are understandably overwhelmed with comments and do not reply to many of them. I am sure I’m not alone in appreciating the time you take to serve everyone! Thank you so much for noticing and your kind words. I really enjoy being able to help whenever I can! I have 2 creative spaces in my home. Since moving and becoming an empty nester these spaces and activities have become a grace-filled use of my time. With that said, do you have any suggestions for what to do with my art? I can paint and paint and paint…and it stacks up. I have even painted over old stuff! When working on canvas, I find that I tend to give a lot of my work to friends and family because it makes me happy to give and makes them happy to have original art from someone they love. 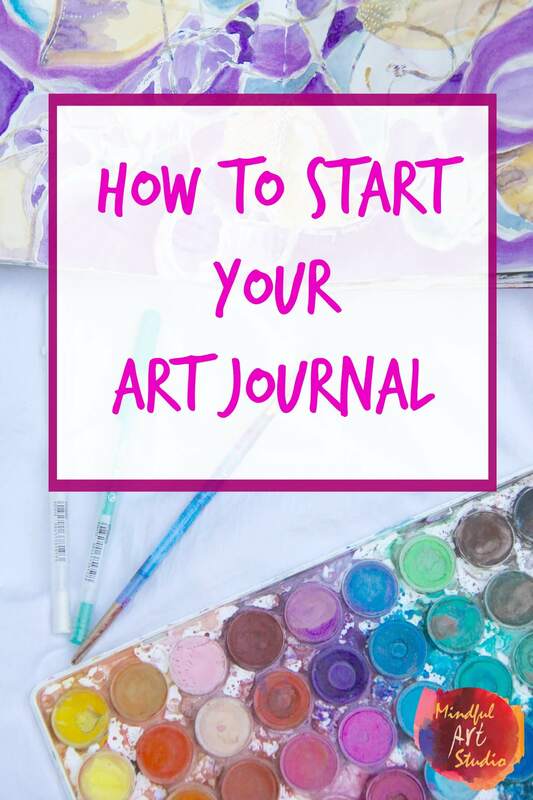 Lately I do a lot of work in art journals, though, and/or work small, which is an incredible way to do a lot of work without running into storage issues. My class, Fluid Art teaches about working small with fluid paints. It’s a very addictive process working this way! 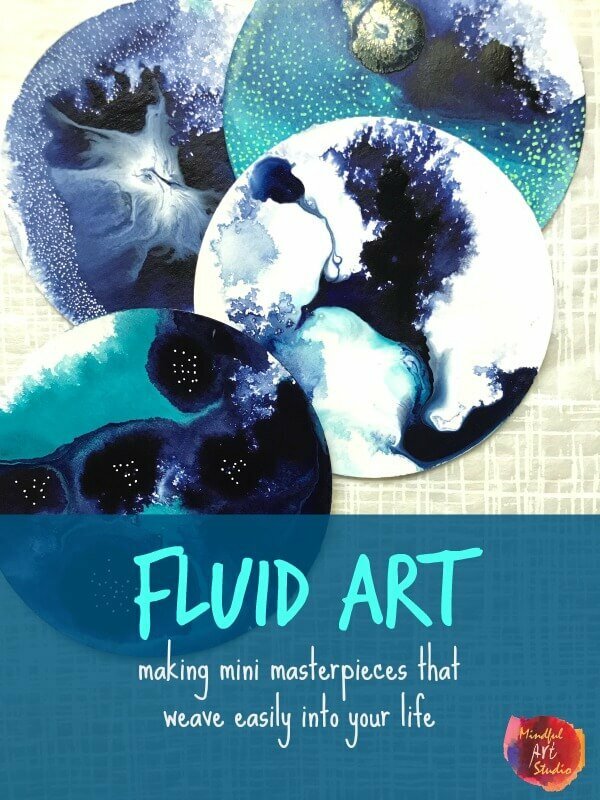 If you are interested, you can learn more here: Fluid Art. I turned the other half of my bedroom into an art studio and have used it for about 4 years. I purchased an 8 foot buffet table then added a few shelving systems to house a crazy amount of art supplies. I’ve relied heavily on Dollar Tree shoe box containers and tubs. In that area I also have work clothes, a small toaster oven for clay as well as glues and every possible wet media you can think of. My art studio isn’t nearly what is pictured in the gallery photos in the entry but it is a special place for me. I got a few ideas from that gallery that will help me better use / organize the space I’ve got. Also, I’ve been trying to figure out how to do a small stow away art area by my bed. I’m disabled and spend quite a bit of time in bed and do the vast majority of art in bed these days. Getting a little stow away studio together will be needed. I agree – we all can’t have those gorgeous, lofty spaces, but yours sounds wonderful. I too love the idea of a bedroom studio and have had them many times in the past. A little art caddy or repurposing a bedside table and adding a little lap tray might do the trick? Here is a shameful photo of the other side of my bedroom. It so needs a make over and will get one. I want to have it finished by winter. It so needs a face lift. I won’t lie and say it stays clean or anything. lol. I’m a messy artist. As far as an easy bed side studio, I was thinking of a tote that fits under the bed. I can pull it out when needed. I have a bed side tray so that will work well. I’ll tell you what though, I’ve been looking in to better shelves on my studio wall above that 8 foot buffet table. I saw some really nice ideas for shelving that I think are possible for me. I love the idea of your cat contributing in the studio! I’m so glad that you are percolating with some ideas for the studio after looking at the post. That’s why it’s here! I loved seeing your lovely work in your studio too. I’m so happy to hear it Mark! I have a wonderful, spacious art studio downstairs, but Parkinson’s is making the trip downstairs increasingly difficult. Your article has inspired me to create an alternative spot. Thank you very much. Oh Dolly, I am thrilled to hear I could inspire a new solution. 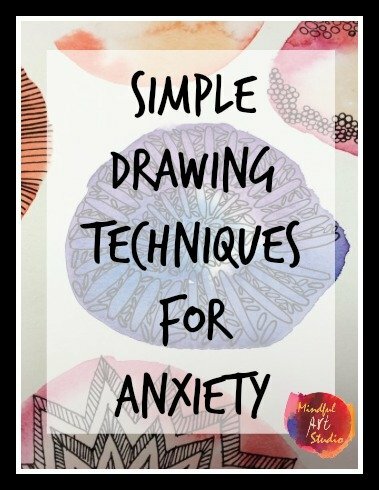 Your art time is SO IMPORTANT, especially with stress. Thank you so much for taking the time to let me know. Those who have additional room to create your art are blessed! I have SOME room, but not nearly enough for me to do the things that I would like to do with my art. I still have supplies in boxes that I can’t get to! I find myself buying things over and over again because I can’t find the items that I need when I need them. I often have to put many things away before I can do anything else. It really disturbs my method of creativity. Only another artist could vaguely relate to this artist issue. I am seriously looking to rent a space with ample cabinets, shelving, drawer space and a large work area so that I can unpack all of my boxes, organize my numerous materials so that I can find them when I need them and THEN lose myself in creativity. For me a little corner won’t do it. Your article has inspired me to look for the affordable space that I need. I thank you! Kimberly – This sounds just so wonderful! I’m thrilled to hear about your plans and makes me think I also need a wee bit more space to organize a bit better. Even though I’m very organized, I periodically have to redo things. 🙂 I can’t wait to hear about what you find! I’ve been following this post for awhile now. At the time I had a one bedroom apt w/ a studio in terrible need of prayer. lol. Now I’ve moved into a studio apt where everything has to be downsized. I decided to make the entire studio an art studio where I just so happen to live. I intend to take several ideas from the posts linked to so I can make the best area possible. I know this entry was written a long time ago but it’s still relevant. Aell artists can relate to needing a refreshed space from time to time. Faith – I’m so happy to read this! I still find this post totally relevant myself and reference it when I need a refresh in my own space. Small spaces and art. YAY. Art apartment. I love it! Please send pics! Problem: Ventilation. I’m a beginner who works with soft pastels. Opening a window in our downsized apartment isn’t an option. No garage either. Have tried a mask. It’s hot, sweaty and uncomfortable.